The SureTemp Plus 690 - with the speed and accuracy you require, and the versatility you need for use with all your patients, all the time. Easy: An easy-to-read LCD display with flashing icons that clearly communicate in any language, and an intuitive user interface and ergonomic shape make using the SureTemp Plus 690 a breeze. Safe: Patient safety is improved thanks to an interchangeable probe well that reduces the risk of cross-contamination. Fast and Accurate: In addition to improved accuracy, the SureTemp Plus 690 is one of the fastest thermometers on the market, providing approximately 4-6 second oral, 10-second paediatric axillary, 15-second adult axillary and 10-second rectal measurements. 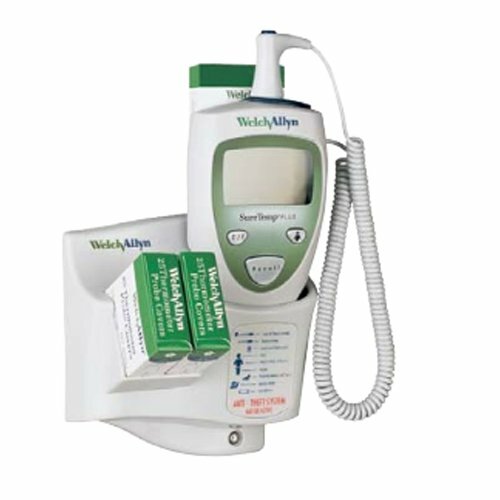 Versatile: To top it all off, you can now use the SureTemp Plus 690 with all your patients, from infants to adults - whether you need to take oral, axillary or rectal temperatures.